Education Secretary Betsy DeVos on Wednesday defended a proposal to reduce federal funding for the Special Olympics by $17.6 million after a public uproar over the news. In a statement, DeVos blasted the media and some lawmakers for “falsehoods and fully misrepresenting the facts” just one day after her explanation for the proposal from President Donald Trump‘s administration in a congressional hearing. Social media quickly lit up with angry comments about the budget plan regarding the Special Olympics, which are designed for people with special needs. It’s worth nothing that DeVos has rejected previous proposals to slash federal funding for the Special Olympics. The Trump administration’s recently unveiled 2020 budget also includes planned reductions in funding for several other programs like Medicare, Medicaid and the food stamp program known as the Supplemental Nutrition Assistance Program (SNAP). The Special Olympics reported $124 million in unrestricted revenues, gains and other support for the year ending Dec. 31, 2017, according to the organization’s website. 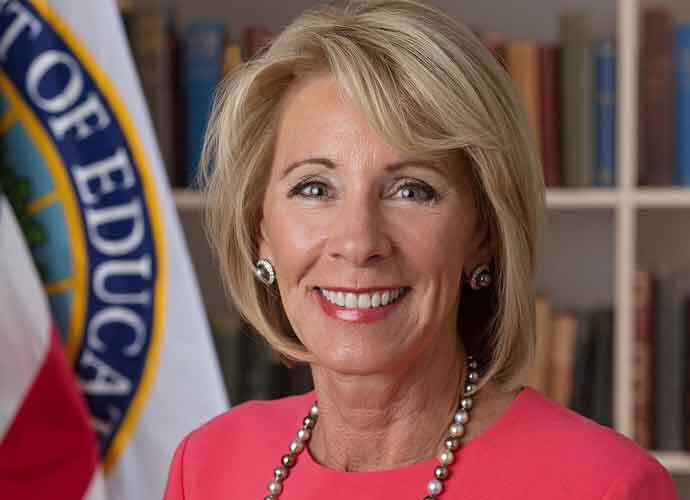 “We had to make some difficult decisions with this budget,” DeVos stated during a Tuesday hearing before the House Appropriations subcommittee, which oversees education spending. DeVos said last year that she planned to donate a portion of her salary to the Special Olympics. In 2017, the education secretary drew controversy for suggesting states should oversee enforcement of a federal law that protects rights for children with disabilities, the Individuals with Disabilities Education Act. You have been at our @SpecialOlympics games. Don’t try to balance our nation’s budget on the back of those with special needs. Rep. Barbara Lee (D-Calif.) was among the Democratic lawmakers who slammed the proposed cuts to Special Olympics funding. “I still can’t understand why you would go after disabled children in your budget,” said Lee. Rep. Mark Pocan (D-Wis.) also shared a video on Twitter of a conversation he and DeVos had in which he told her how many disabled children would be affected by her proposed budget cuts, after it became clear she had no idea. “It’s 272,000 kids. … I’ll answer it for you, that’s OK,” Pocan tells DeVos in the video, which drew major reactions on Twitter.